How to conduct oneself on Facebook When one steps into the crowded world of social media they are presenting an image of themselves for all their friends and acquaintances to judge them by. As society becomes more reliant on sites like Facebook it is important to treat Facebook as an online marketing tool, and you are the brand or product in question. The similarities between a successful marketing campaign and attaining a shed load of likes on Facebook run deeper than you might think. It is essential to engage your audience by creating a real buzz around yourself. Appearing desperate, rude or mean will distance you from your Facebook friends and hamper your ability to collect likes. Facebook likes are an important currency for online marketers. Whilst not the most significant, they are a good register of the success of your campaign. 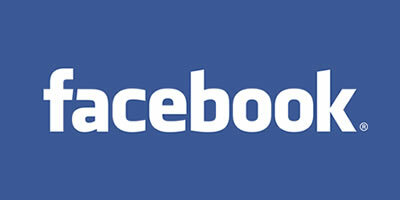 However, many companies over-emphasise their importance and try to bully their Facebook friends into liking. Phrases such as “like if you think this is important” or “like if you agree” accompanying posts reek of a desperate attempt to pressure their audience into liking. When an a person feels like they're being forced to do something, their natural reaction is to resist. Some firms have taken it a step further and have even started purchasing likes from smaller companies. Remember, being cool is about not trying too hard. Be subtle about it. As we've ascertained, pleading for or trying to force people to like your posts is not a great look for you. But a question remains: how active should I be on Facebook? When the platform was in its infancy and companies were unfamiliar with it, they tried to get away with the bare minimum of Facebook advertising. Today, the reverse is true, and many companies are guilty of flooding their followers with too much information. Bombarding your followers with a new post every 15 minutes is a sure-fire way to be perceived as a Facebook pest and lose followers. Unfortunately, there is no airtight formula to calculate the optimal number of posts. Your best bet is to set a weekly or monthly target and not overstep it. Gauge your success and alter that benchmark as you see fit. Never compensate the quality of a post for quantity. Ask yourself whether you believe that your followers will like it. This is also true for your personal page. A new addition to the family (babies, kittens and puppies are always liked) is going to spark a lot more interest than saying you've just washed your hair. Facebook only recently adopted hashtags after seeing their successful application on Twitter. This being the case, you should treat them in the same way as you would on Twitter: limited numbers, relevant content. Swarms of hashtags are both visually unappealing and have that air of desperation we mentioned earlier. Offer your followers and friends valuable content. “Would I read this?” should be the first question in your mind when considering a post. If you wouldn't, don't post it. Rens van der Windt is a very active blogger and Facebook user from Holland. This article has been written in association with Intralinks More Than A VDR, a secure M&A data rooms provider.